I've been known to make the sauce on a Sunday, when I do most of my cooking for the week, and then use it on a weeknight. To complete the dish I have pictured, you also need 1 lb of green beans, but you can use the sauce on meat or other assorted vegetables. The SAUCE is what's important. 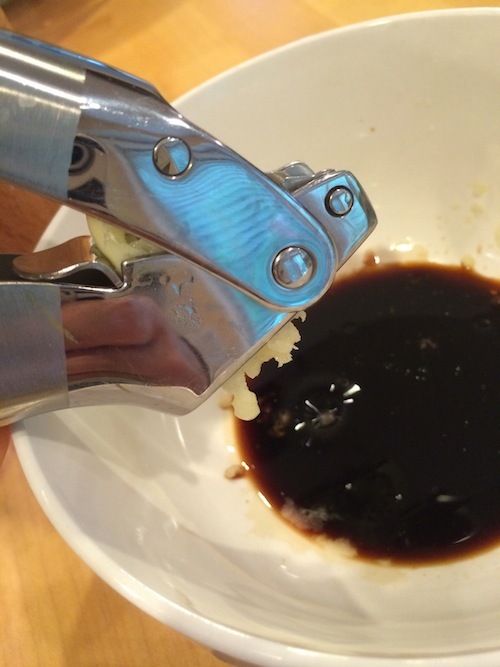 Start by stirring the oil and soy sauce together. Then stir in the garlic and ginger. Next add the onions and sample to make sure you're happy with the seasoning. For instance, if you skipped the chili oil, you may want to add red pepper flakes. Personally, I usually add some extra ginger. And presto, you're done! Now if you want to actually USE the sauce, one of my favorite "applications" is with green beans. Start by par-boiling the beans (this is also called blanching) by putting them into boiling water for about three minutes then rinsing them in cold water. This pre-cooks the beans so you can stir-fry them quickly.I boil the beans in the same pan I use for stir-frying. After rinsing the beans in cold water, I return the pan to a high heat (with just a touch of oil) and then put the beans back in the pan. 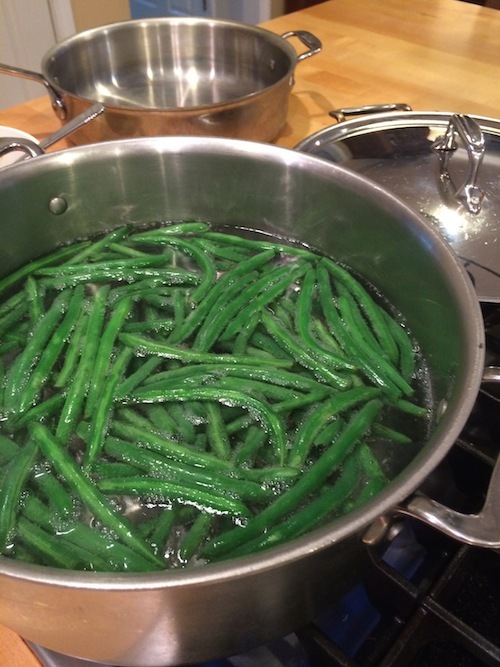 I cook the beans for another minute or two and add the stir-fry sauce for the last minute of cooking.Serve immediately and marvel at how much you like green beans!Nom! Nom! Don’t look now! 21 ways your age is showing!